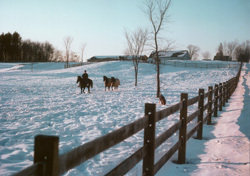 Vienna Farm is a comprehensive equestrian center located on 78 acres in Gorham, Maine. Set in rolling country-side, our farm is a beautiful mix of fields, pastures and woodlands just south of Sebago Lake. We are minutes from Portland, Maine’s largest city, within easy reach of any location in southern Maine on a state highway, Route 114.